Authorities Monday identified the 20-year-old woman who died in an early morning head-on crash with a U-Haul truck in Fallbrook. 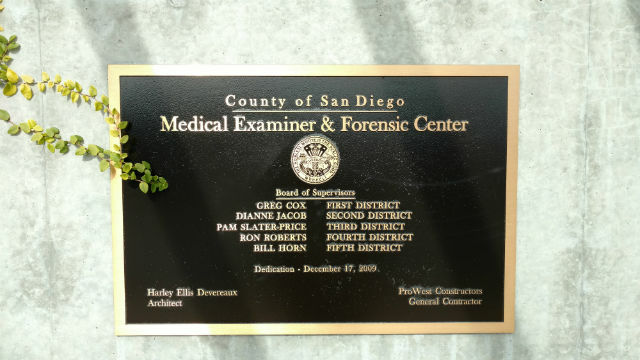 Guadalupe Esmeralda Perulero was in a rear passenger seat of a small 1996 Saturn sedan around 1 a.m. Sunday when the northbound Saturn drifted into oncoming southbound traffic on South Mission Road, according to the San Diego County Medical Examiner’s Office. The Saturn collided with a 2007 Ford U-Haul truck near Quail Knoll Road, south of Fallbrook High School. The Saturn’s driver, a 19-year-old Fallbrook man, and his three passengers were all trapped inside the car, and none were believed to have been wearing seat belts, California Highway Patrol Officer Mark Latulippe said. Officers believe drugs or alcohol may have contributed to the collision. When emergency crews arrived, they found Perulero dead in the back seat from “obvious fatal trauma,” medical officials said. The 19-year-old driver suffered major trauma and a fractured left hand, and was flown to Scripps Memorial Hospital in La Jolla, Latulippe said. He was expected to survive. The other two passengers, a 17-year-old Escondido girl and a 20-year- old Fallbrook man, were taken to Palomar Medical Center in Escondido with moderate injuries. The driver of the Ford U-Haul, a 27-year-old man from Fallbrook, received minor injuries and was not taken to a hospital, Latulippe said.